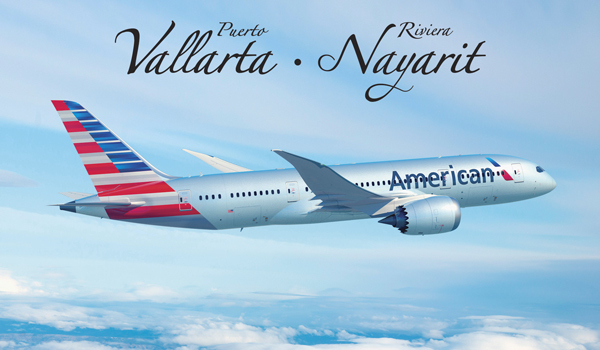 The flight takes off for the first time on December 15, 2016 with a daily direct schedule that will benefit Puerto Vallarta and the Riviera Nayarit. American Airlines will operate the new daily direct flight from the Los Angeles International Airport to the Lic. Gustavo Díaz Ordaz International Airport, increasing the airlift between Puerto Vallarta and Riviera Nayarit with the top destination of origin for tourists from the United States to the Destination. The flight begins operations on December 15, 2016 and is subject to government approval, but it’s already open for reservations. This year there have already been announcements for new direct flights from Chicago on Frontier Airlines, from Los Angeles on Southwest Airlines and another from Poland with Rainbow Tours tour operator aboard LOT Polish Airlines planes. Last year the Destination confirmed four new flights.